Whittel & Melton has quickly become a leader in Employment law applying years of trial experience in other practice areas with the Board Certified legal knowledge and experience of attorney Jay Lechner. Whittel & Melton primarily represents employees, but we do continue to take select employer side cases based on our diverse Florida client base. The firm represents clients in cases involving sexual harassment and discrimination on the basis of pregnancy, race, gender, age, national origin, disability, religion and other protected classes. The firm also represents employees in cases involving FMLA(family medical leave act), minimum wage pay issues, unpaid wages and unpaid overtime violations, non-compete agreements, non solicitation termination clauses, whistleblower protection, retaliation claims including workers compensation, qui tam and other Wrongful Termination and civil rights causes. 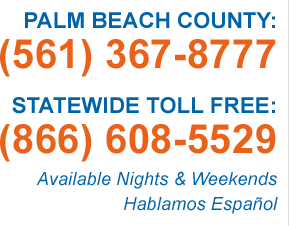 Please contact our Florida law firm to schedule a confidential consultation either by telephone or in person. Your Florida employment law issues require focused attention and we’d like the opportunity to pursue what has been taken from you or what you may be entitled to under the law. Whether your case is right here in Palm Beach County or Broward County or any other jurisdiction in Florida, we can help you. The federal and state labor and employment laws protect workers in Boca Raton, West Palm Beach and Fort Lauderdale just the same as they do in Jupiter, Stuart or Port St. Lucie. Call us at (561)367-8777 or email us info@thefllawfirm.com today!